Ms. Leslee Thompson is the CEO of Accreditation Canada and the newly created Health Standards Organization (HSO) and the driving force behind the People Powered Health movement. After her appointment as CEO in 2016, she led a 12-month global consultation and business design process, and now Leslee and her team are unleashing the power and potential of people around the world who share their passion for achieving quality health services for all. Armed with 25 years of senior executive and corporate director experience that spans multiple geographies and sectors including heath care, medical technology, government and retail, Leslee is a leader who makes things happen. Her clinical roots as a Registered Nurse continue to influence her relentless pursuit of quality and safety in health care, and Leslee has become internationally recognized for her work on partnering with patients to improve outcomes. Having successfully led many organizations and systems through tough periods of change, including the high-profile turnaround of a major teaching hospital where she was CEO, Leslee is frequently asked to speak, write, and serve on influential boards and panels. 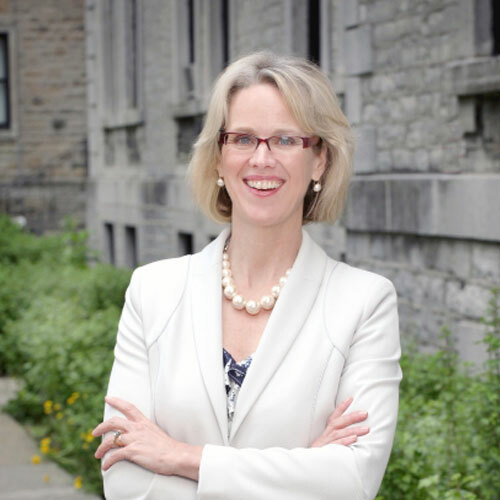 She has been Board Chair of the Canadian Foundation for Healthcare Improvement, Chair of Council of Academic Hospital Ontario, Assistant Professor at Queen’s University and a member of Ontario Health Innovation Council to name a few. Case studies and articles have been written about her leadership and Leslee has received numerous awards and honors including being named as one of Canada’s Top 100 Most Powerful Women. Today, she is an active volunteer on the Daughters for Life Foundation Board which is dedicated to the belief that if you educate a girl you can change the world.